So eager were we to grab some new pages the pack wasn’t even complete before it was printed. Adam is loving pencil work right now so we added it into some of the activities. 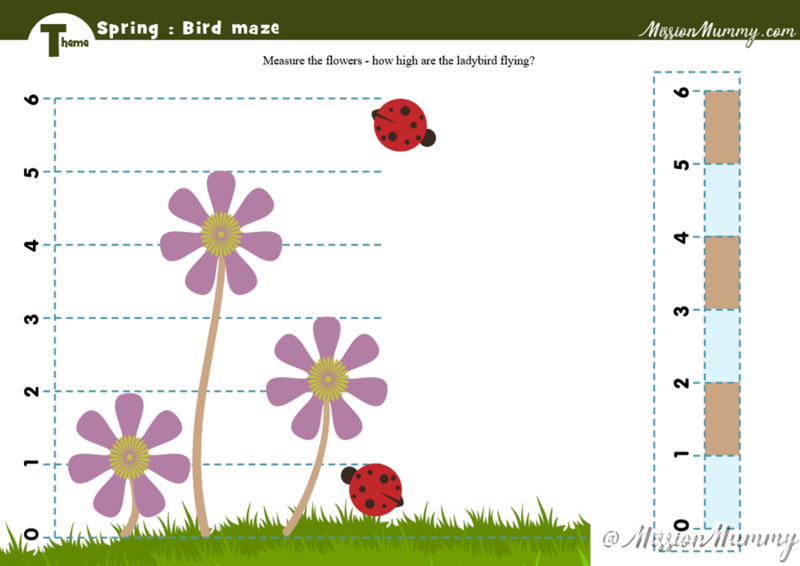 This spring pack has the usual 12 pages of activities and there is a freebie extra page at the end of this post. Each page has brief instructions on and this pack includes a quick print guide too. 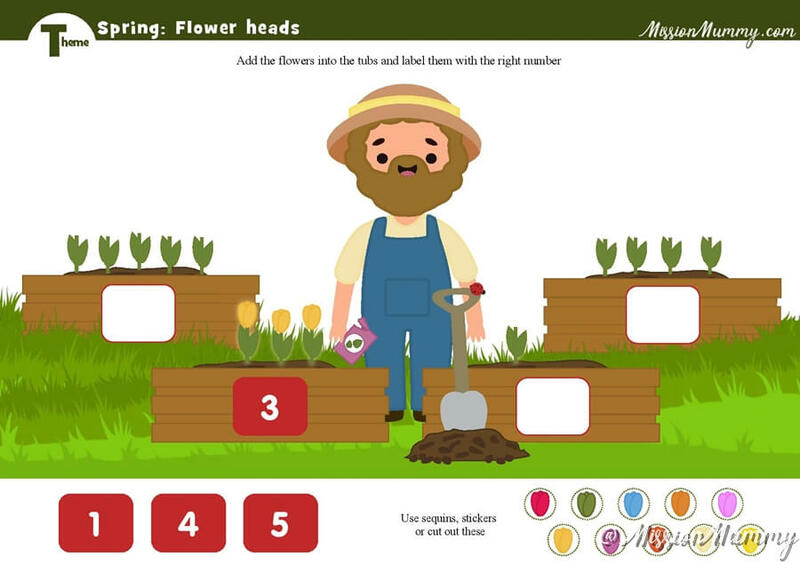 This is a lovely multiple counting activity where first you place flower heads on the tulips then count and label the flower boxes. 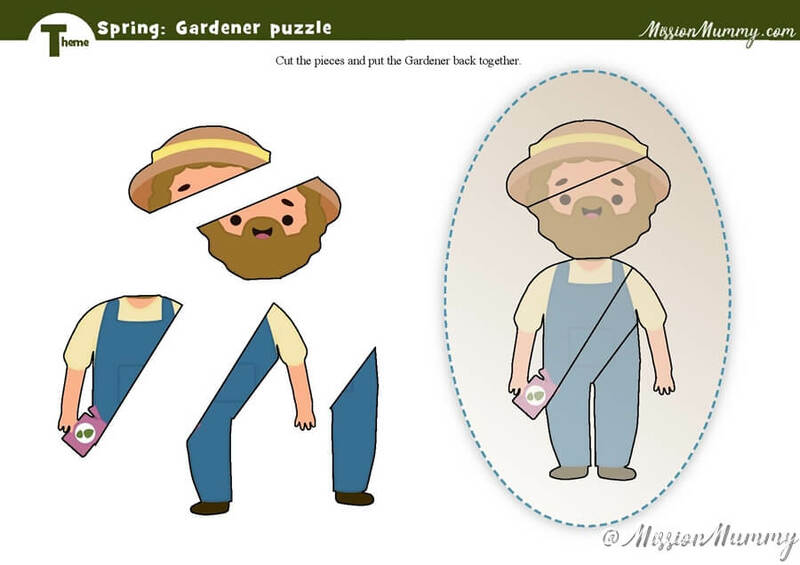 This page is our standard character jigsaw, a good file folder game and introduction to the theme. 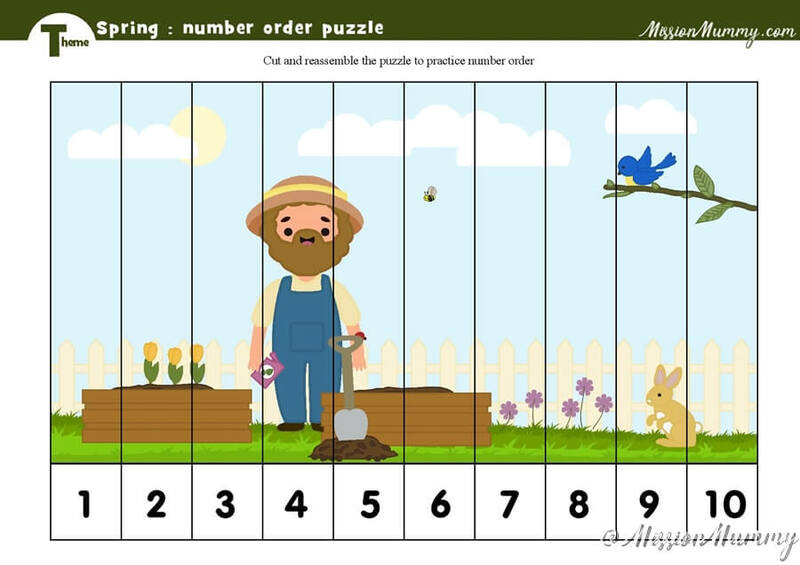 As usual it is the same size as all the other packs jigsaws if you want to make a set. This shadow match was perfect for us. Adam loves making lines and would have enjoyed using manipulative’s or string to join up the pairs but he chose to use a pencil instead. 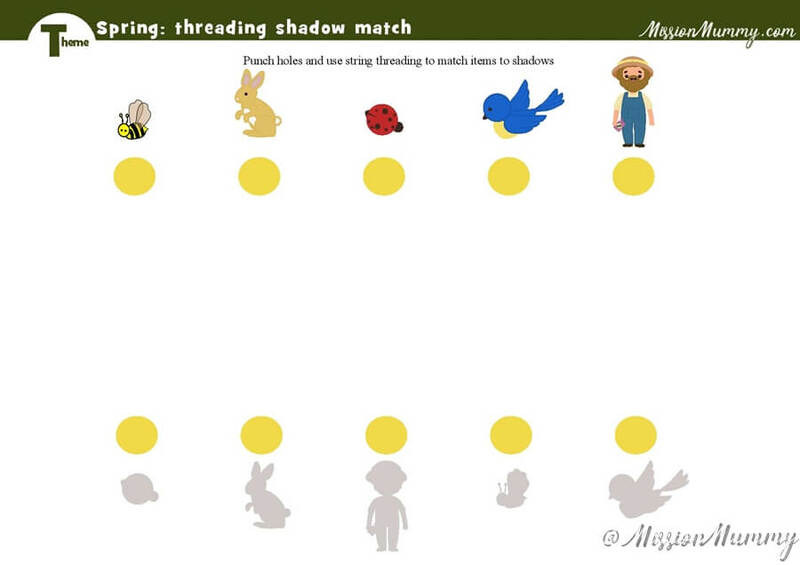 I love how this matching game can also be used as a threading activity. 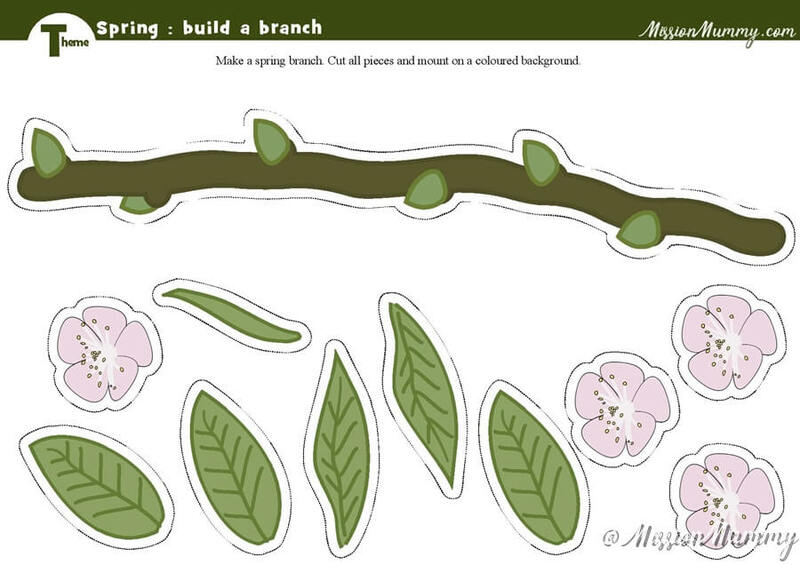 Build your very own spring branch, a lovely open ended activity and a great decorative piece to display. 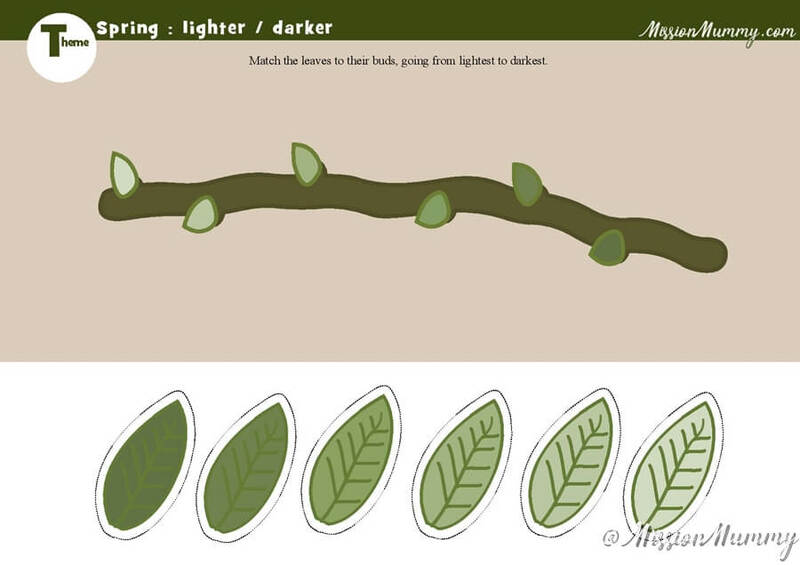 This spring branch is slightly more prescriptive as it gets the children to examine which is darker and lighter, practicing comparison and vocabulary. The jigsaw for this pack is a number order one. There are no ‘alternative’ combinations for youngsters who look at only the picture. 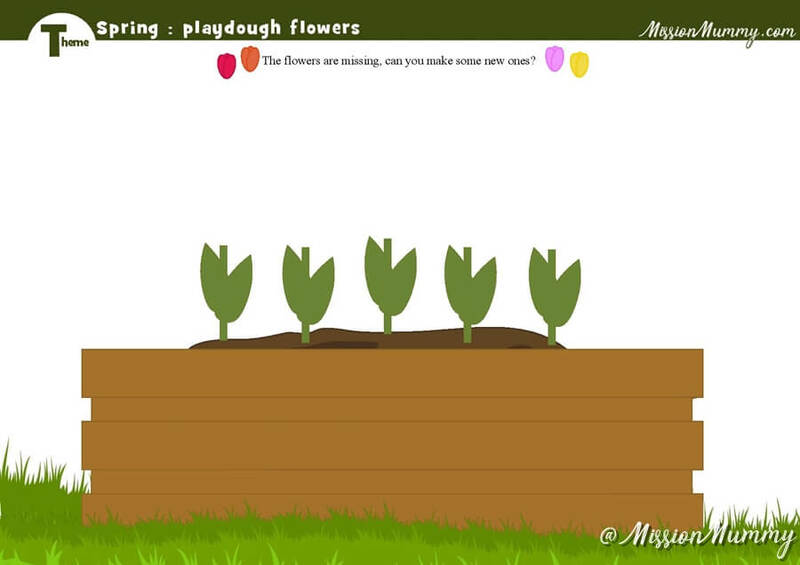 Our play dough mat asked us to make some flowers. 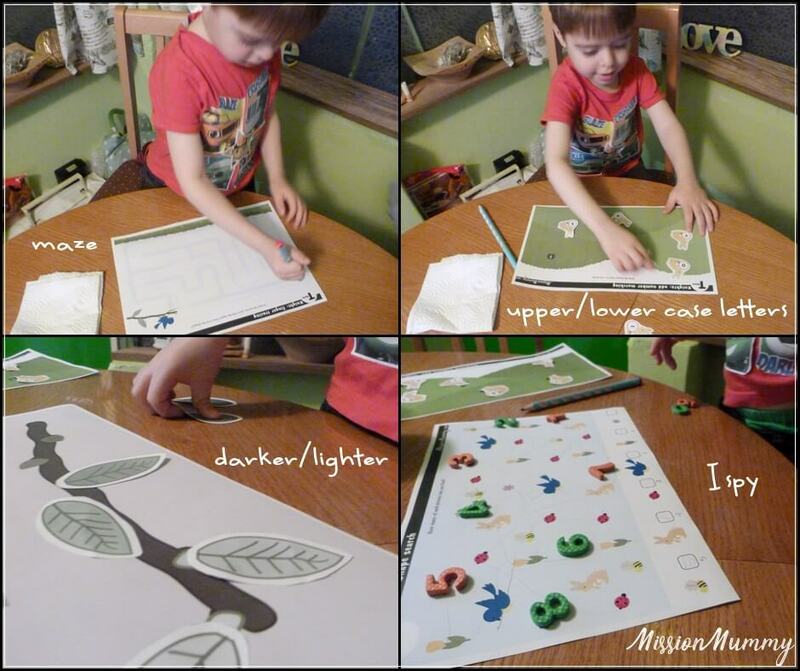 It could easily be extended into a colour mixing activity too. 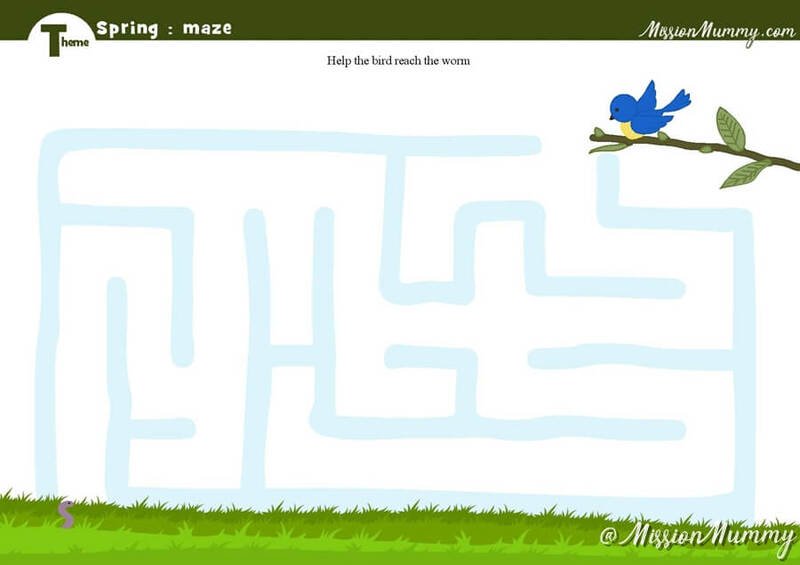 Lastly we have a maze. We’ve done mazes with glass beads and button paths, string and sticks, tracing fingers and pencil lines. This time we traced with our finger and then with a pencil. The pack freebie is this cute little measuring page. The Full Pack is available in both A4 and US letter by clicking on the button below. 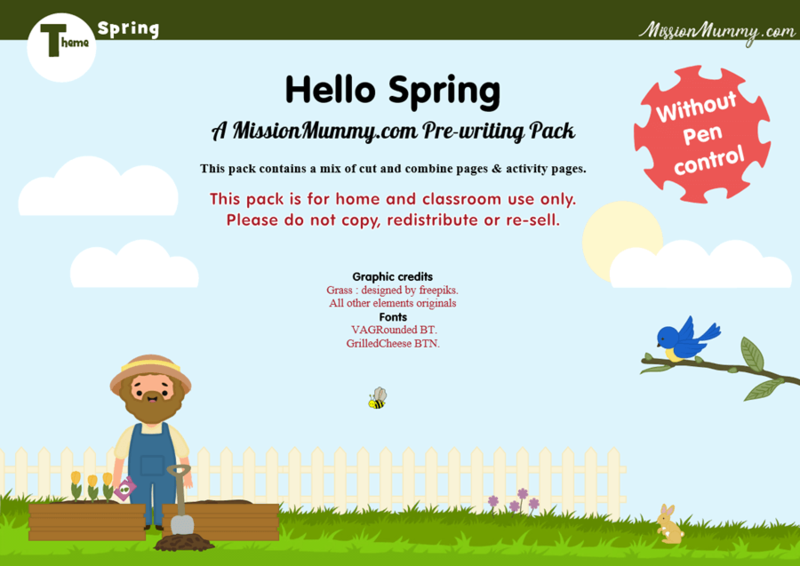 Don't forget to check out the other preschool & totschool packs!